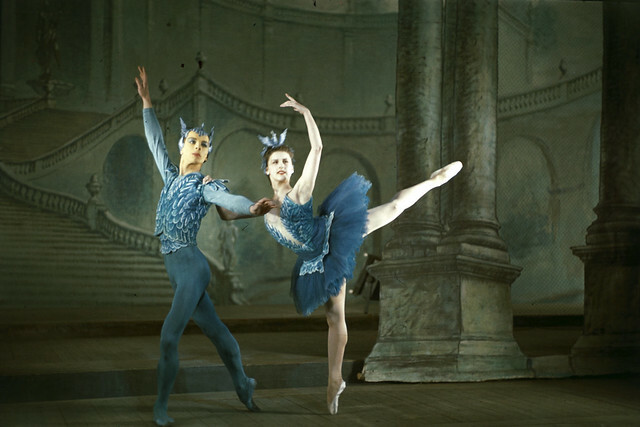 At the end of World War II, Ninette de Valois’ Sadler’s Wells Ballet company was invited to become the resident company at the Royal Opera House, re-opening the House on 20 February 1946 with The Sleeping Beauty. Over the next decade De Valois was kept busy building the repertory at the Royal Opera House, as well as creating the sister Sadler’s Wells Theatre Ballet, to act as a touring company. Both companies grew successfully under De Valois’ care, along with her ballet school. But De Valois wanted to secure their future: she’d learnt that the vital grants from the Arts Council to the Royal Opera House and Sadler’s Wells Theatre simply supported opera and ballet at the theatre, rather than the specific companies. In 1954, De Valois set about drafting a memorandum that laid out her ideas to unite the three separate organizations – the resident company, the touring company and the school – as an independent body and under a single name. One suggestion was ‘The Royal Ballet’. The suggestion was a popular one, and on 31 October 1956, Queen Elizabeth II granted the royal charter and became Patron of the newly formed Royal Ballet, Touring Company of The Royal Ballet and The Royal Ballet School. Princess Margaret became the Companies’ first President. It would be a few months until the charter was formally announced, though, and when it was on 16 January 1957 the press reaction was mixed. The Sunday Times enthused, ‘The Royal Ballet has everything in its favour: a great name, a virtual monopoly of British talents, an assured audience in every quarter of the globe, a future as safe as planning and high patronage can make it’. Some, though, were sorry to lose the ‘Sadler’s Wells’ title, and were concerned that the step to bring the three organizations under one umbrella would create confusion. The Irish Times wrote ‘It would be better if it [the ballet school], and the second company, had quite different names’. The new Royal Ballet was officially welcomed to the stage on 26 March 1957 with a special gala performance in aid of the Royal Ballet Benevolent Fund, a charity to support dancers, choreographers and dance teachers in need. 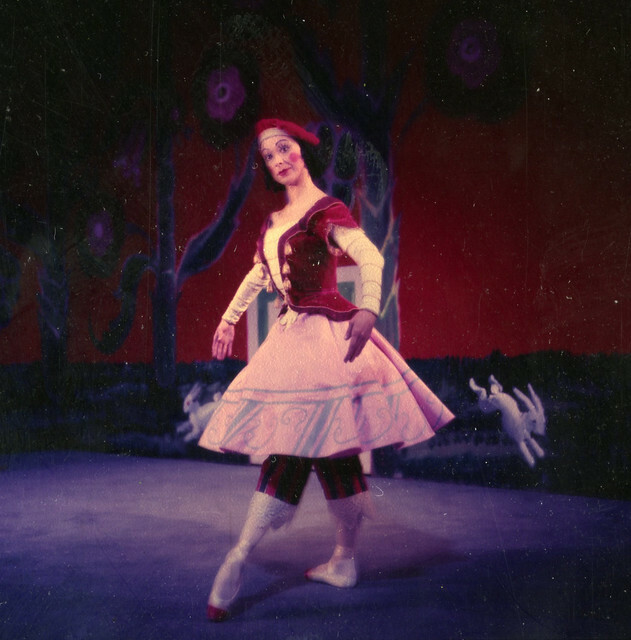 The Company performed a triple programme that included Mikhail Fokine’s Chopin-set Les Sylphides, a new production of Fokine and Stravinsky’s iconic Petrushka and finally Birthday Offering, created by Frederick Ashton the previous year to celebrate the Company’s 25th anniversary. Dancers included Margot Fonteyn, Alexander Grant, Peter Clegg and Ashton. Queen Elizabeth, the Queen Mother and Princess Margaret were all in attendance – making the evening a glittering start to a Company that has gone from strength to strength ever since. The Sleeping Beauty runs 21 December 2016-14 March 2017. Tickets are still available. The production is staged with generous philanthropic support from Mrs Aline Foriel-Destezet, Hans and Julia Rausing, Lindsay and Sarah Tomlinson and The Royal Opera House Endowment Fund. Great article BUT, re: Sleeping Beauty - don't you mean 21st December '2016' to 14th March '2017' ??? "Queen Elizabeth, the Queen Mother and Princess Margaret were both (sic !!!) in attendance"
Thanks for spotting this typo, which has now been corrected. Or was it correct first time - i.e, both Queen Elizabeth, the Queen Mother ( one personage), and Princess Margaret. ..Two people in total ! Her Majesty the Queen is not normally referred to by her name . As Ashton and Helpmann were both present I am tempted to remember the story , probably known to everyone, of the two of them watching the late Queen Mother on one such occasion make her entrance into the auditorium ; observing her Majesty acknowledge the audience in her own inimitable way, and seeing her drive it into ever greater raptures of applause and reverence with her regal comportment and gracious wave.